Shokutsu Ten Japanese Food Street has moved into the city with the opening of its third outlet at Great World City. The Japanese food enclaves at its third venue presents 5 food, beverage and retail brands under one roof. 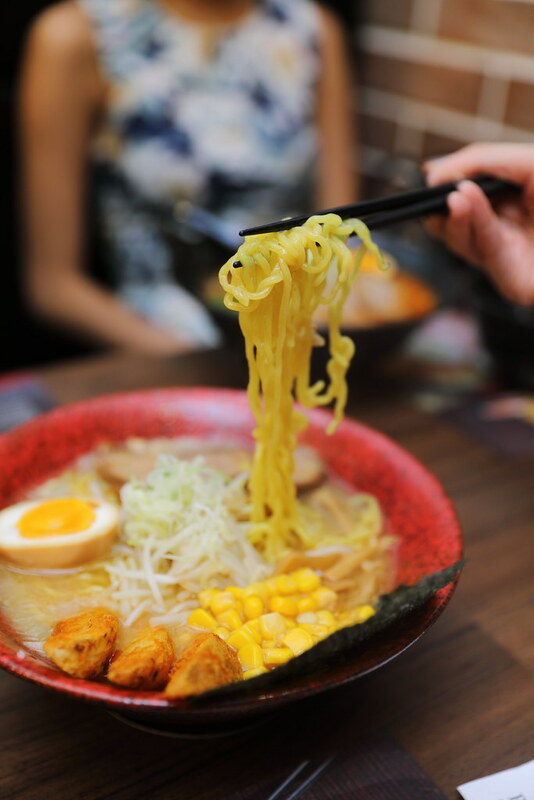 Joining Ichiban Boshi and Kuriya Japanese Market in the expanded area at the basement of Great World City is Men-ichi Sapporo Ramen, offering the original and rich taste of the famed Sapporo ramen. 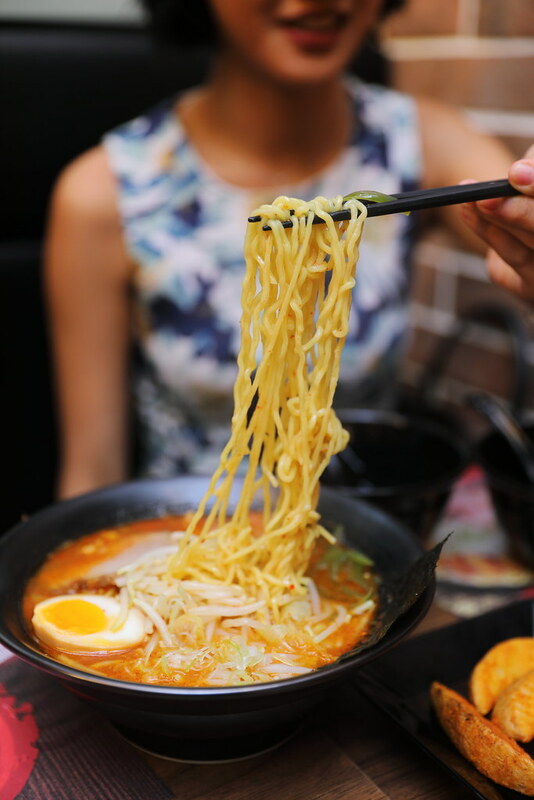 The ramen at Men-ichi Sapporo Ramen is made using the traditional Sapporo method, bean sprouts, minced pork and leek, stir fried together with a collagen rich miso infused tonkotsu broth. 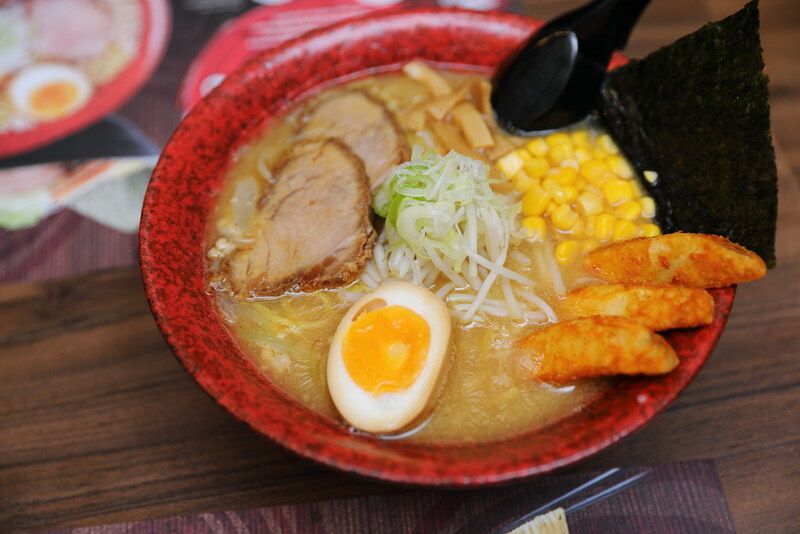 Accompanying the rich broth is the thick, curly Nishiyama noodles specially imported from Hokkaido. 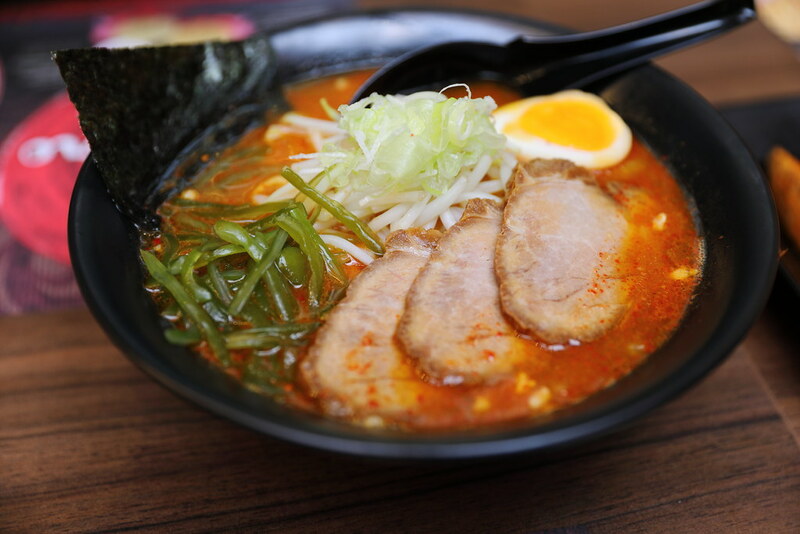 The Sapporo Spicy Miso Ramen ($17.90) comes with 3 pieces of char siew in a special spicy sauce. While I enjoyed the miso-based tonkotsu broth, I felt that the spicy sauce did not quite have the punch to it. The char siew is also not those melted in the mouth type but thick and meaty. I preferred the Tokusen Sapporo Miso Ramen ($19.50) for its rich and intense miso flavours in the pork bone broth, not distracted by the chilli sauce. My bowl of noodle comes with 2 pieces charsiew, potato wedges, minced meat, onion, egg, bamboo shoots, leek, bean sprouts, corns and seaweed. While I enjoyed the bowl of slurping goodness, I just don't understand the purposes of potato wedges. I doubt this is part of the original in Sapporo.